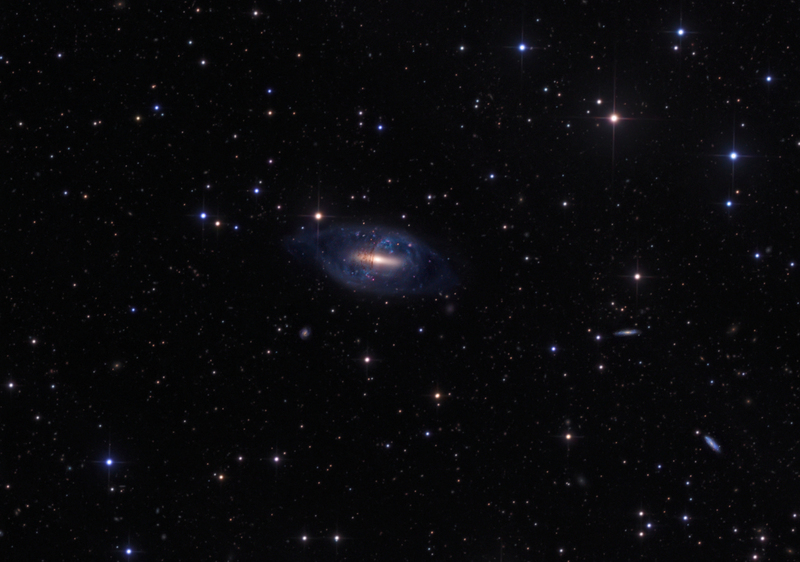 Explanation: NGC 2685 is a confirmed polar ring galaxy - a rare type of galaxy with stars, gas and dust orbiting in rings perpendicular to the plane of a flat galactic disk. The bizarre configuration could be caused by the chance capture of material from another galaxy by a disk galaxy, with the captured debris strung out in a rotating ring. 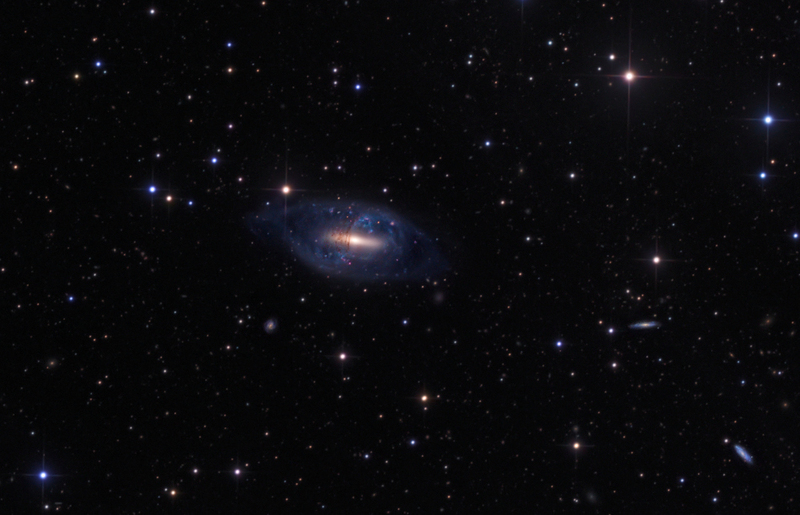 Still, observed properties of NGC 2685 suggest that the rotating ring structure is remarkably old and stable. In this sharp view of the peculiar system also known as Arp 336 or the Helix galaxy, the strange, perpendicular rings are easy to trace as they pass in front of the galactic disk, along with other disturbed outer structures. NGC 2685 is about 50,000 light-years across and 40 million light-years away in the constellation Ursa Major.